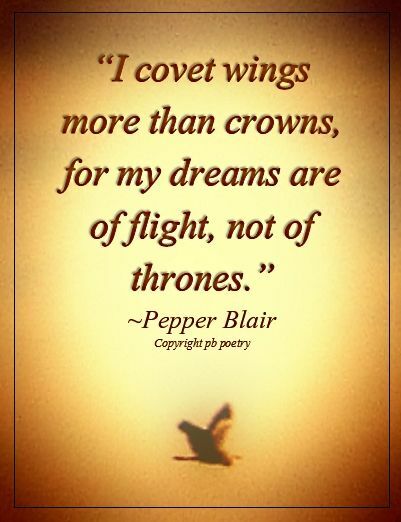 Appropriate ATTRIBUTION for this picture quote could not be determined. If anyone can provide the correct, verifiable source, please let JBRish.com know in the comment section and appropriate credit will be added and published. Thank You! There is something about a stormy sea that attracts me. Knowing that I am standing on terra firma looking at the churning water and feeling the building strength of the impending storm carries a thrill with it. 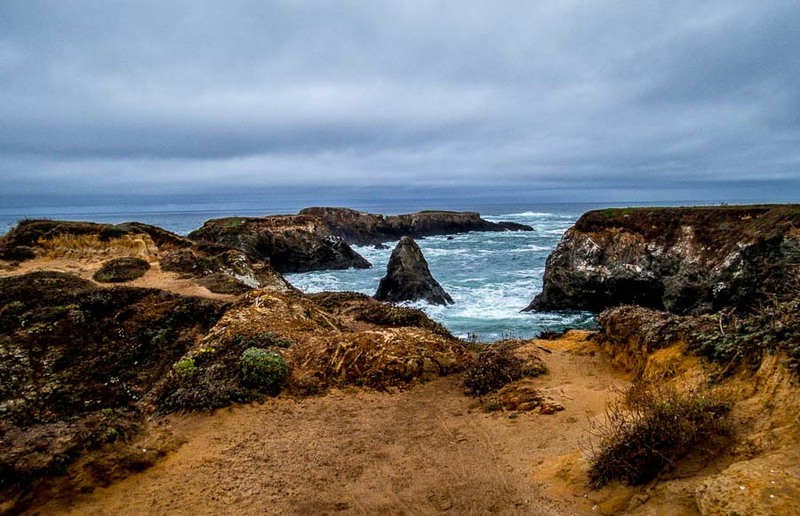 On such a day we were drawn to the edge of the ocean in Mendocino Headlands State Park. There were only a few adventurers at the water’s edge this morning. The grey skies could not hide the beauty of the scene. The browns of the beach and rocks against the bluish grey water and sky created a very pleasing panorama. One nice perk of playing pickleball is that there is not a lot of equipment to worry about. Gym clothes and a paddle will usually get you entry into the pickleball scene. Of course you can add a variety of accoutrements, but the bare eseentials are few. An important item that often gets short shrift is the pickleball itself. Many players just use whatever ball is provided, BUT…there can be a big difference in your game depending on the ball being used! Whenever we are playing where there are multiple courts and a shot goes astray, there are times when the ball from our court is switched with a ball from another court. Most players just accept this and go on with their game; hmmmm! Is that the best protocol? If you have been playing with a ball that is a bit softer (from usage) or harder than the one that was replaced, does that affect your game? Was the ball you were playing with newer or older than the ball you received? Is it smoother or rougher? Does it make a difference? Don’t be confused by the title, there are some good points related to pickleballs and how it affects our play. *** NOTE ***– I play with several pickleballers who have a color preference for a variety of reasons. Some like the dark green pickleball, others like the light lime-green color, a few like only the white and many prefer the dark orange. There is no right or wrong, in my opinon, as long as it is a USAPA approved pickleball. After all, each side plays with the same ball and needs to adjust accordingly. One other thing…It is my opinion that when playing on an “indoor”surface like a wooden gymnasium floor, players will have a better pickleball experience if they use an indoor ball. I have seen players use and outdoor ball on such surfaces and they skid quite a bit and this changes the game! I knew little about Tillamook, OR except that it was a dairy town and I only knew that because our grocery stores have Tillamook cheeses and ice cream. The town of Tillamook itself wasn’t a major stop on our itinerary, but served more as a jump off point for the hiking areas relatively nearby. 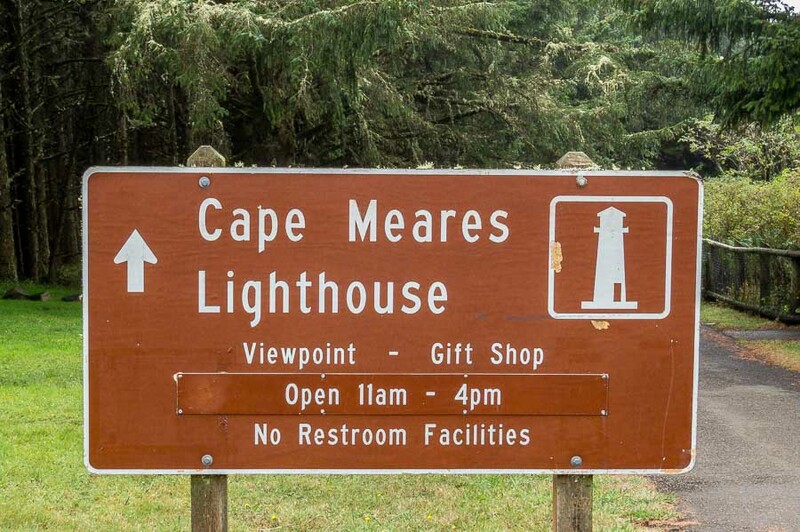 Our first adventure outside of Tillamook was to the Cape Meares Lighthouse. 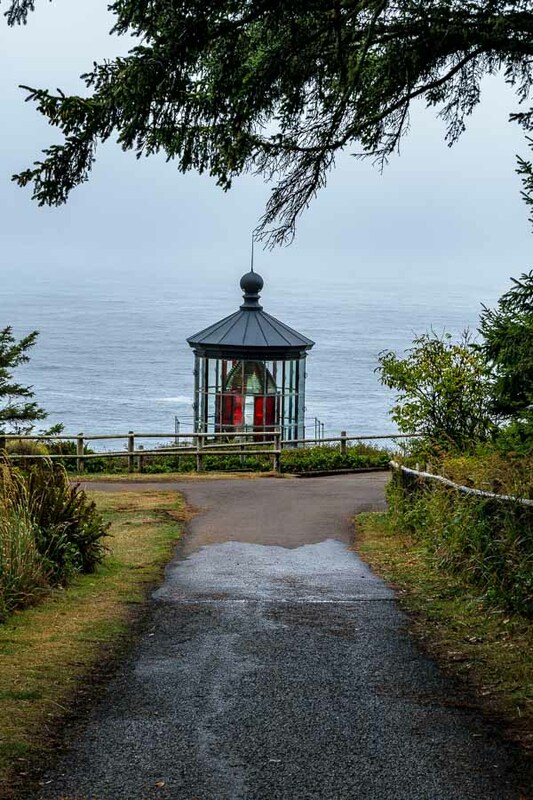 As you can see in the picture below, there is a clear path from the parking lot to the lighthouse area. It was a dreary day, but the seaside’s dramatic ambience was enticing. 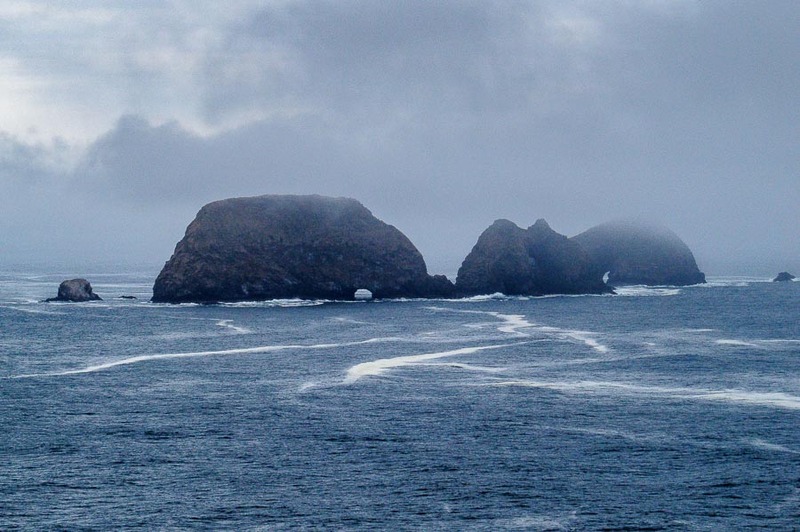 Ocean storms can be dramatic! 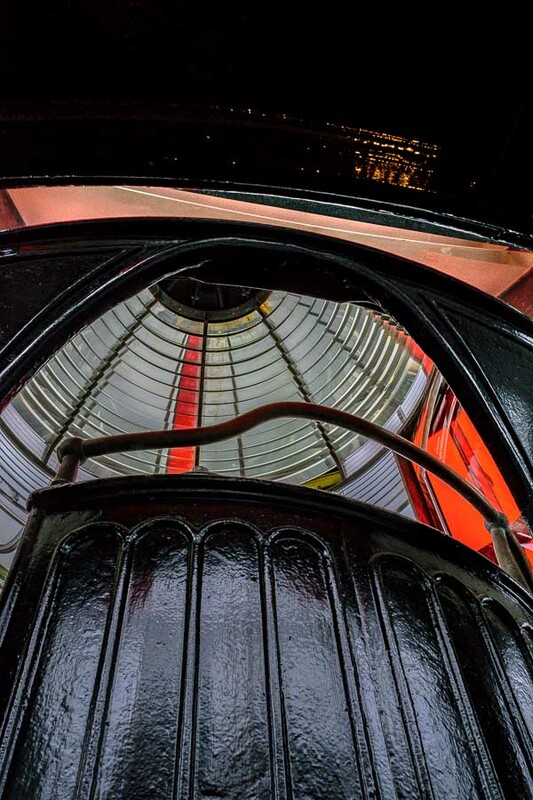 I hadn’t appreciated the fact that lighthouses have lights with different color patterns. 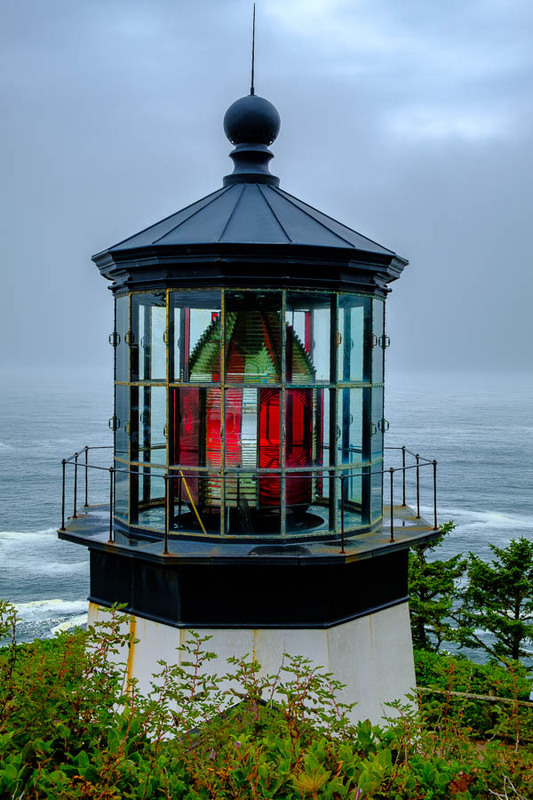 The red and clear glass created a “signal” to let captains know that this is Cape Meares. Not only are there different color patterns, but the duration that each color is visible is very precise. 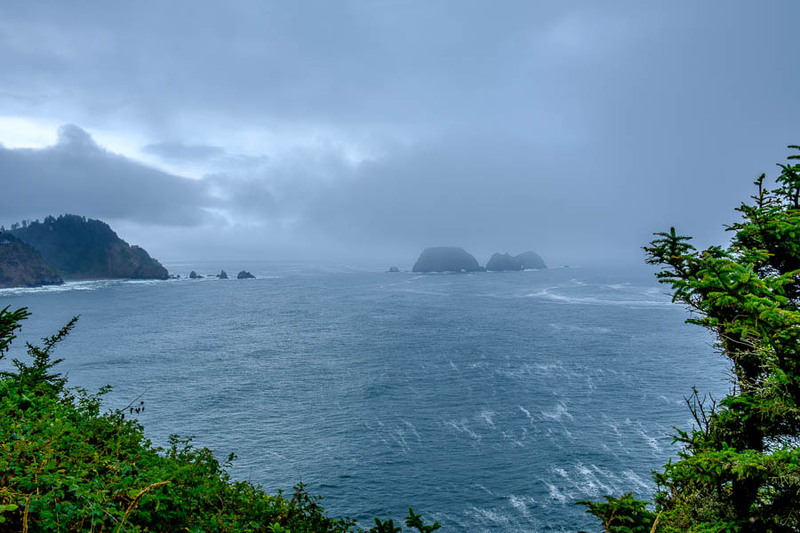 Before taking the lighthouse tour, we walked to the edge of the visiting area to capture a few stormy photographs of the picturesque rock formations and the choppy waters of the Pacific. 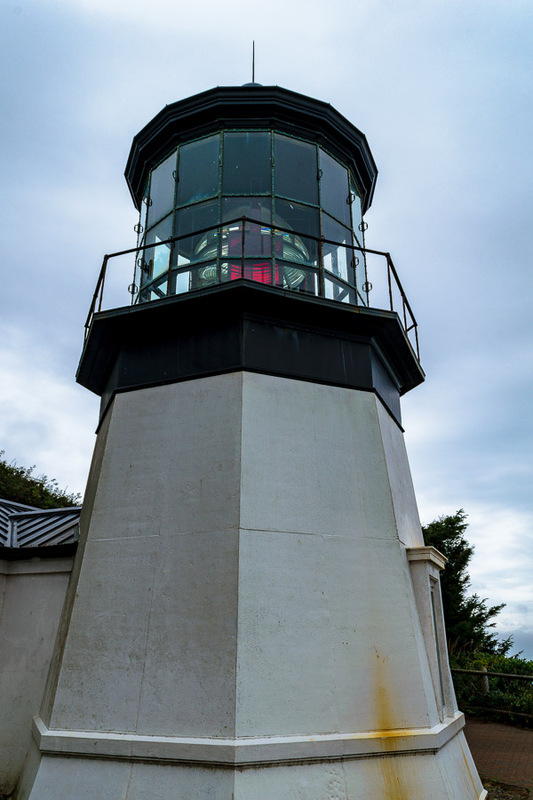 The lighouse was near the edge of the cliff overlooking the ocean and therefore did not have to be too tall for the sake of visibility. 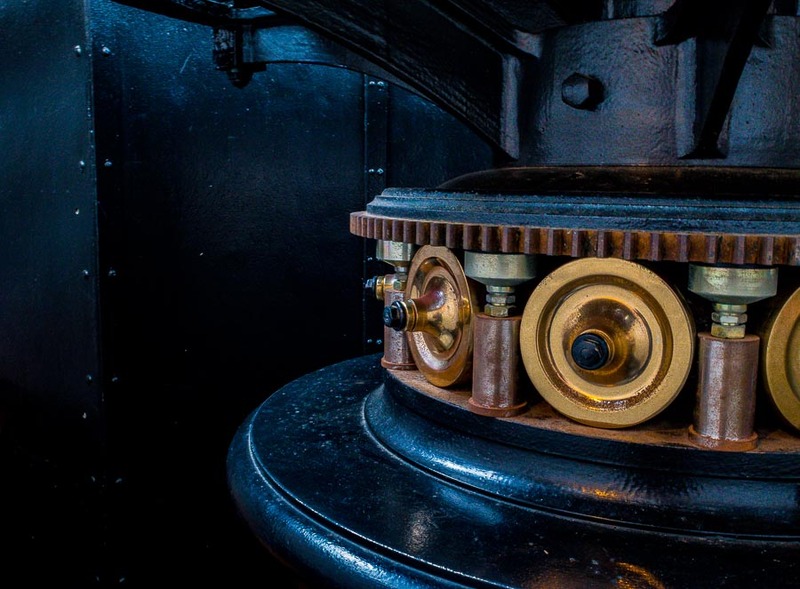 The polished gears gave evidence to the excellent condition of this lighthouse and the machinery needed to operate the turret. This picture gives a good representation of the size of the main tower of the lighthouse. 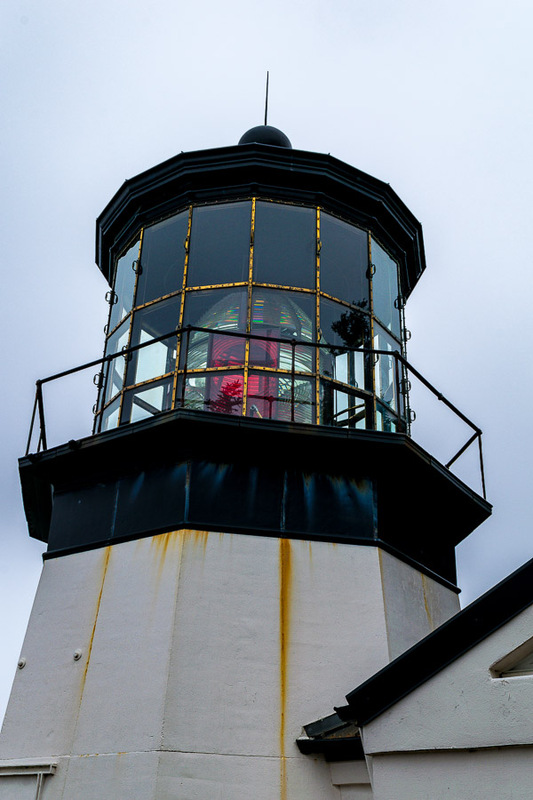 The tour was very interesting and the docent was very knowledgeable about lighthouses in general and of the Cape Meares structure specifically. There were a few more stops we could have made in the park, but the weather was not conducive so we decided to head back to town. On the return path, we came across a very large Banana Slug (Ariolimax columbianus). 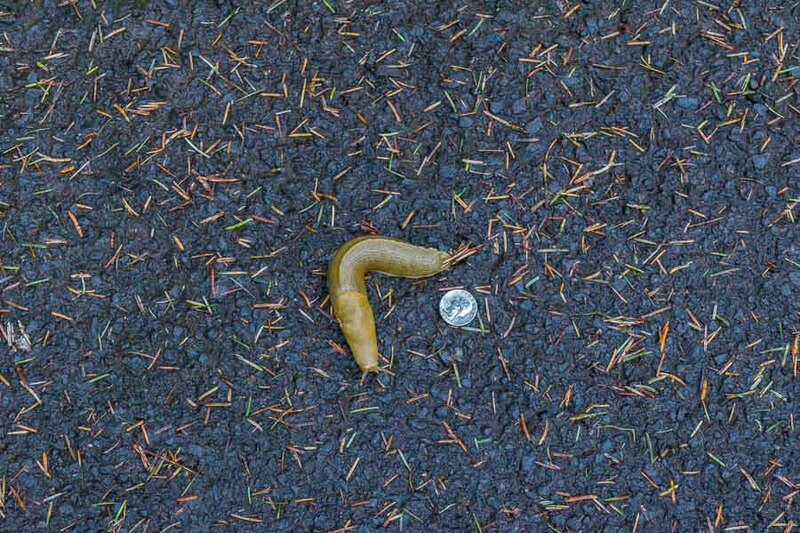 I placed a quarter next to it to help viewers understand the size of this animal; impressive for a slug. 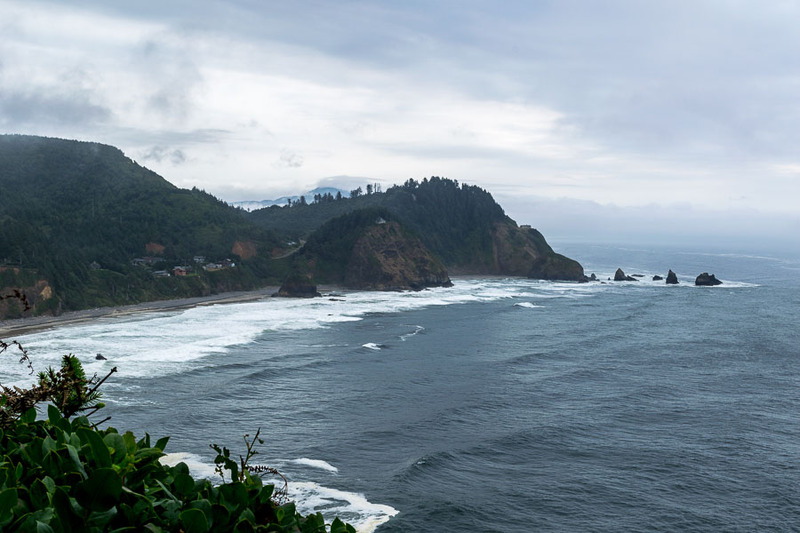 One last look back at the coastline before the trip back to Tillamook.